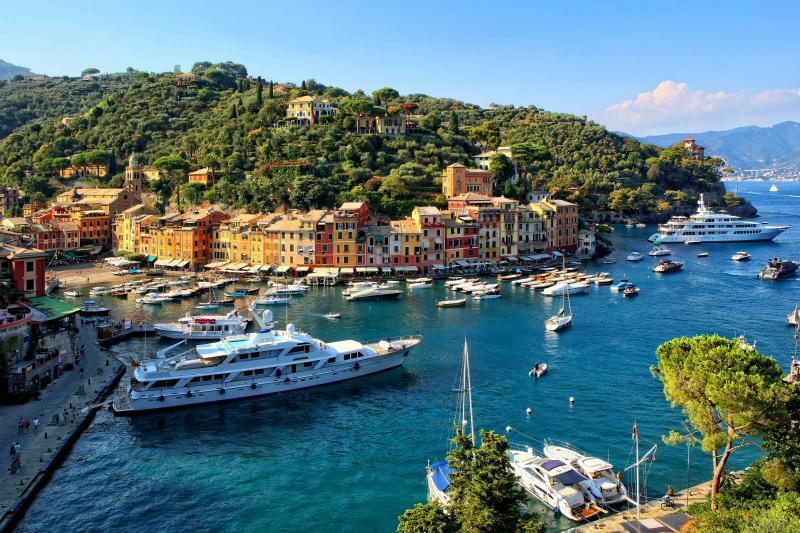 Discover and unwind at the spectacular seaside and scenery, of the Italian Riviera from Milan, which makes for one of the best destinations in Italy! The enchanting Italian Riviera is one of the most unspoilt areas of the Mediterranean and one of the most extended areas in Liguria. A kingdom of nature and wild scents maintained as in the past. To visit the Italian Riviera means to visit villages suspended between sea and earth, clinging on to cliffs and surrounded by the green hill! Accommodation is based on 4-star accommodation. Departure at 8:30 am from Starhotels Ritz in Milan to Genoa (departure is also possible directly from Genoa, joining the group in the lobby of Hotel Starhotels President at 10:30 am). Seaport, one of the largest of Southern Europe, the first in Italy; the 6th city of the country, this town has an important history, as the Maritime Republic. Its historical centre has grown around the dock, is full of narrow and characteristic streets and has a medieval origin. Visit of the modern zone of “Ancient Port”, restored for the 500 years of America discovery by Christopher Columbus. Here we find the Aquarius, the second biggest in Europe. Free time for lunch. Accommodation in the hotel and free evening for personal interests. Overnight.